By 1920, Don Carlos was married to Ruby Elsie Stultz and they already had one child, Don junior, the census was taken the 10 and 12 of January 1920, Lionel was born later that year in July. 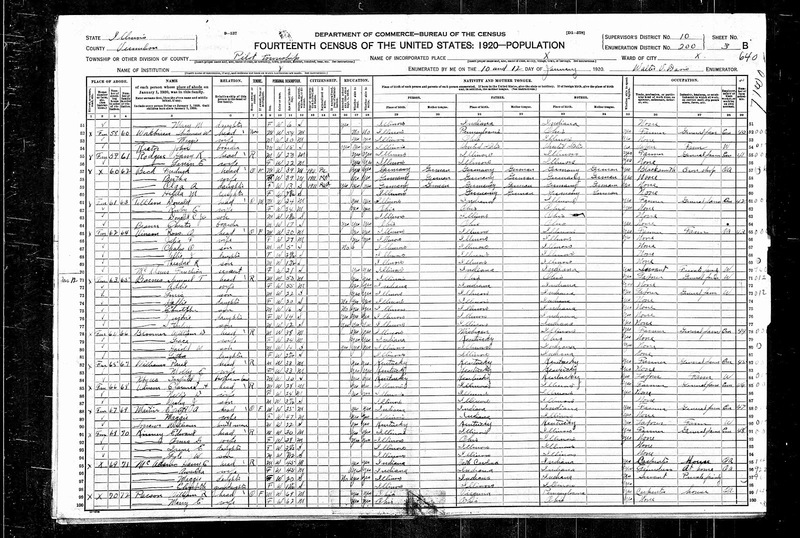 The census taker spelled his name as Donald Tillitson. 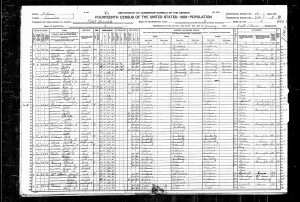 Year: 1920; Census Place: Pilot, Vermilion, Illinois; Roll: T625_412; Page: 3B; Enumeration District: 200; Image: 553. Don and Ruby went on to have 9 children, 7 of which lived to adulthood and to raise families of their own. It is interesting to not that even-though at the end of the Revilla census it is listed that only 58 families reside there I found that a total of 60 entries were done. Somehow the two single persons listed living by themselves were not counted as families. The interesting thing about census records is they have both good and bad information on them. It requires careful reading with each entry. I transcribe each census entry, that way, I am better able to assure I don’t miss anything. Thanks a lot for giving everyone remarkably superb opportunity to read in detail from this site. It’s always very ideal and also stuffed with a good time for me personally and my office acquaintances to search your blog at least thrice per week to read through the latest tips you will have. And definitely, we’re usually happy considering the amazing concepts served by you. Selected 2 ideas in this posting are basically the very best I’ve ever had. Es poco frecuente encontrar a escritores con conocimientos sobre este tema , pero creo que sabes de lo que estás escribiendo. Gracias compartir información como este.